Identifying your students’ personality types makes teaching simpler and increases your retention. Your 6:00pm student is waiting for you, dance shoes on, notebook out—she’s been ready since 5:30pm. You greet each other and she mentions she would like to review figures 6 and 7 before going on to figure 8. You review the figures with her until she is satisfied that she knows them. Before the lesson is over, she asks if you two could sit down and plan for the upcoming showcase, as she wants to secure her dress and shoes in advance. Your 7:00pm lesson arrives on time, wearing the same thing he always does, khakis and a blue button-down shirt. He says he needs to discuss the differences he found between the manual and what he was taught by his previous teacher. He also has a list of other questions that challenge you to satisfy his need to intellectually understand dance figures and technique. Your 8:00pm lesson is late. He finally arrives, bursting into the ballroom in his loud red blazer and excitedly declares that he has a great idea for his showcase routine. He wants to be surrounded by six women who adore him for his excellent dancing and fabulous wardrobe. He wants to wear a fully sequined shirt and tie, and sing along with the music. Your 9:00pm lesson happily greets you in her friendly, warm way. She is concerned that you have worked so many hours in a row, and suggests maybe you need to take a break. She brings out the cookies she baked for the studio, and tells you she volunteered to be the person who helps everyone find costumes for the showcase. Is this just a coincidence, or do students really vary this much in their behavior and communication styles? The answer is YES! 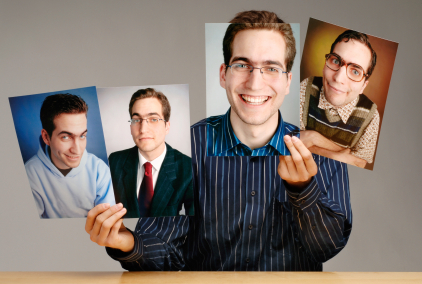 While every student is unique, people generally fall into one of four main personality styles. The ability to identify each student’s personality type has tremendous value. Your teaching and communication become more effective, leading to happier and more long-term students. Learning about personality styles is a component of my SalesFree Sales seminars. Here’s a short summary of each style using the four students described earlier. The 6:00pm student is a STEADY STEPPER. The Steady Stepper style wants security and prefers things to stay as they are (i.e., doesn’t like change). This style likes doing things in a logical, sequential order, and wants a teacher who shows consistency, discipline and planning. The 7:00pm student is a LOGICAL LILTER. This student likes to challenge people, to be right, and to be seen as highly intelligent. This style needs you to prove your ideas to him and doesn’t like to be criticized (even though he himself frequently criticizes others). Being “in their heads”, Logical Lilters usually don’t care about things like clothing or style. The 8:00pm student is a HAPPY HOOFER. This student is flashy and loves to be the center of attention. Happy Hoofers are always coming up with new ideas and can bore easily. They may have a hard time sticking with a syllabus, preferring to shake things up instead! The 9:00pm student is a PATIENT PARTNER. This style thrives on the connection and relationships with other people. What’s important to a Patient Partner is that his/her teacher shows genuine warmth and caring. This style likes to be praised and wants to be comforted when something upsetting happens. This student will give a great deal of him/herself, and do anything to keep peace and harmony. Do you know what style you are? If it’s not clear, ask a close friend or family member to help (often it’s more obvious to others than it is to ourselves). Now think of a few of your students—can you identify their styles? So what happens if you are a HAPPY HOOFER teacher and your student is a Steady Stepper? You make it a point to match your student’s style by thinking and acting like a Steady Stepper. For example, you come very prepared to your lessons with this student, have the showcase form ready to sign, stay within the structure of the syllabus, and set a plan for the next lesson. And so it goes with the other styles. It is the teacher’s job to adjust and adapt to each student’s personality and learning style, not the other way around. Give it a try! You will see how effortless your lessons become. And you’ll no longer be scratching your head, wondering why students leave you! Dance Teachers: Tell us how you’ve handled teaching students of different styles. Having difficulty teaching a student of a different personality style? Ask Diane about it!